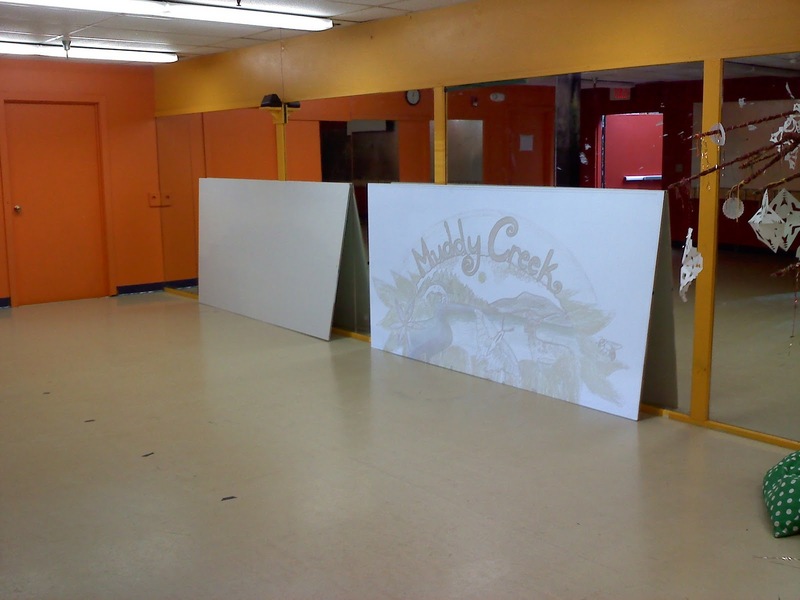 I am currently working on a commissioned sign for Muddy Creek Charter School, a local Elementary School in Corvallis. This school incorporates place-based learning in their curriculum with a heavy emphasis on environment. I designed the imagery for the sign to reflect the environment surrounding the school and particular to the Willamette Valley. 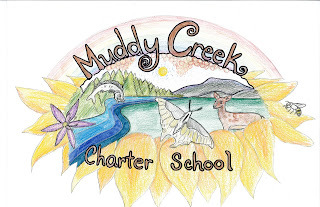 In the center of the design is the immediate landscape of the area surrounding the school with Mary's Peak in the horizon and Muddy Creek flowing through. I included some native plant and animal species including the Western Tiger Swallowtail Butterfly and the Camas flower. 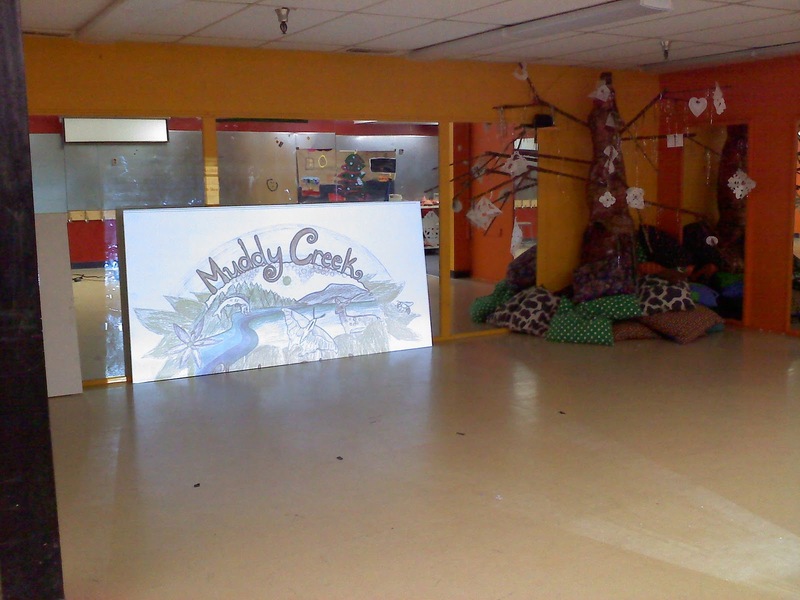 The sign is bordered by colorful sunflower petals and a rainbow that will give the building a sunshiny feel during the long Oregon rainy season. 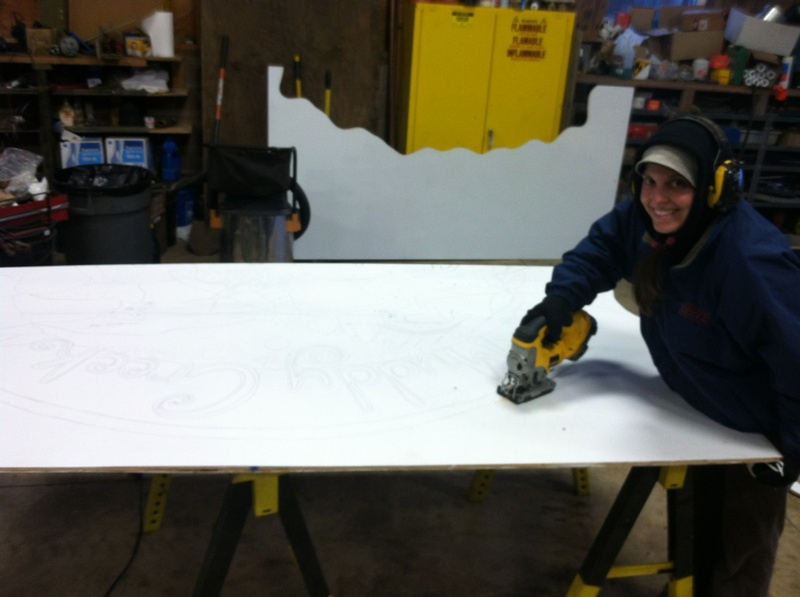 I will continue to update as the sign progresses so stay tuned! This project is being sponsored by the Corvallis Arts Center. Thank you! Projecting my image onto 2, 8' x 4' medium density sign boards so I can trace the outline. 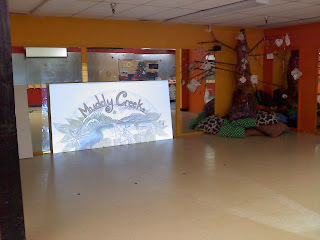 Picture taken at the Corvallis Arts Center. Cutting around the edge of the design. 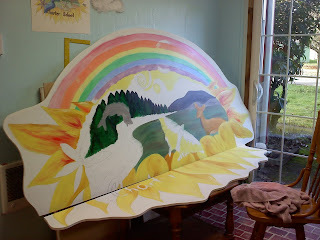 Adding a base layer of color at my home studio in Corvallis. I will be changing the colors quite a bit as the painting progresses. I am not pleased with the existing sherbert colors in the rainbow (i.e. rainbow sherbert, haha). The sign will be mounted flat with the two pieces flush, I just have the bottom of the sign sitting this way so I can work on it more easily. Almost done, just some outlining and a few more details to go. I will coat it with exterior varnish to protect it from the elements. Looks fantastic! Those lucky kids!